With the world’s leading climate scientists having just delivered the IPCC report stating that ‘urgent and unprecedented changes are needed’ in order to for global warming to be kept to a maximum of 1.5C, the conference theme, Taking Charge of Change, couldn’t have been more relevant. 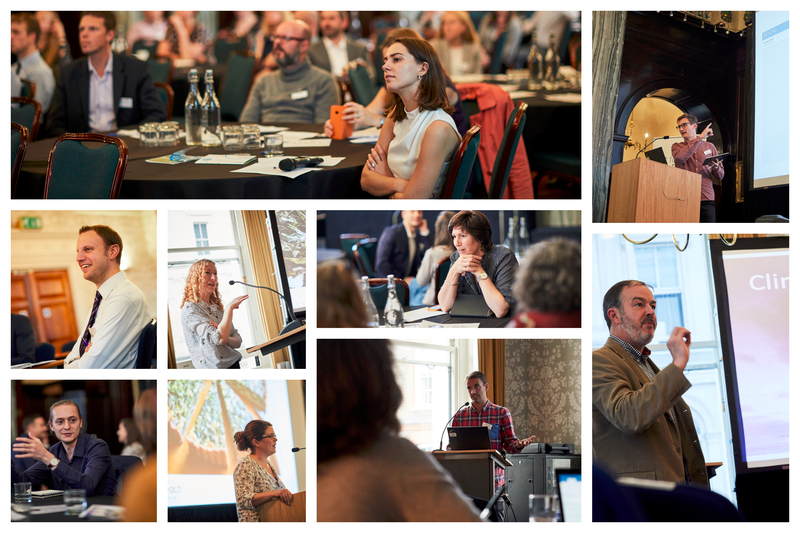 First and foremost the event was a key opportunity for environmental practitioners from across the UK to get together as part of a larger community as they take action to ensure their organisations become climate-friendly, adaptive and resilient. The network works on the principle that the best approach is to learn from and collaborate with each other. 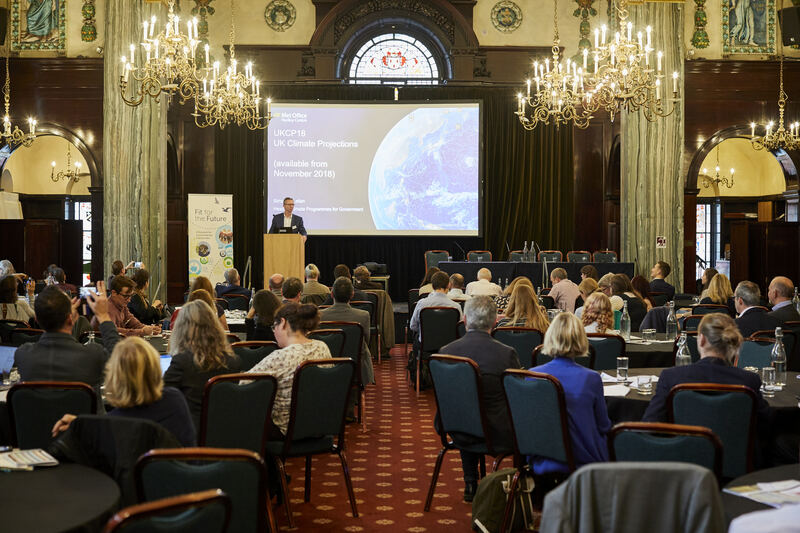 After an introduction from the Network chair, Sir Ed Davey, Julie Hirigoyen, Chief Executive of the UK Green Building Council gave a rousing key-note speech with a powerful call to action for the practitioners involved in the network. Zero Carbon World’s revelation that it now takes just 10 hours to get from one end of the country to the other in an EV. With 25% of emissions currently coming from vehicles, this presents huge scope for change. 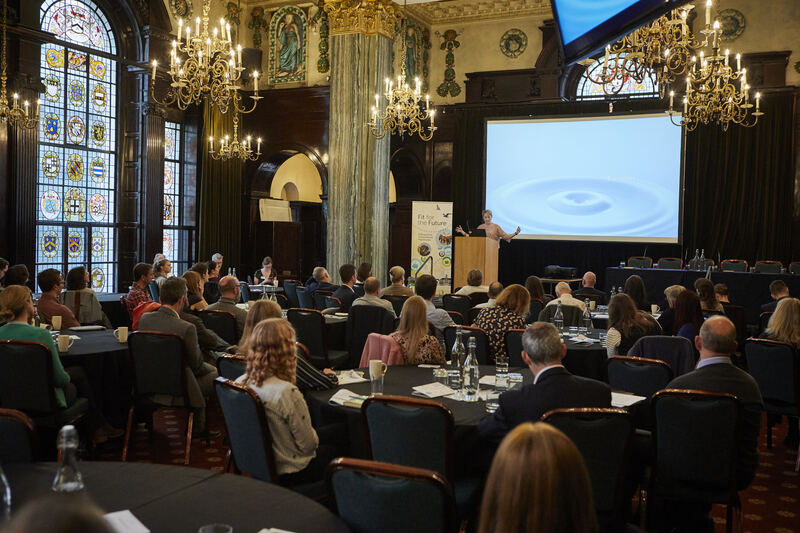 Climate change is already having a significant impact on the land and 30,000+ buildings looked after by organisations in the network, and adaptation was therefore a major focus at this year’s event. Simon McLellan, Head of Climate Programmes for Government at the Met Office, introduced the new Climate Projections due to be released on 27th November. These will include much more in-depth information than is currently available, with monthly projections at 22km resolutions. The scope of the projections will also increase, with data such as sea level and storm surge projections given up to the end of century. Updates will enable individuals and organisations to really make use of the projections, and we’ll be supporting our members to do so over the coming year. Plastics: The key message was that phasing out single use plastics and reducing plastic waste can be done using a strategic approach. Adam Hall revealed how Surfdome’s unique approach to reducing plastic pollution has led to the elimination of the equivalent of 1.2 million plastic bottles from circulation, and Lauren Wiseman, Environmental Manager at WWF spoke about the plastic waste avoided thanks to an internal single use plastics campaign at WWF. During a workshop, participants were guided through a strategic process which involved analysis of plastics currently in use, opportunities for change, liaising with suppliers to make changes and sharing messages with customers to get them on board. Adaptation: Olly Watts of RSPB emphasised the need to move beyond silo thinking and extend the context of our own adaptation actions to encompass surrounding environments. Working in partnerships is key to achieving this. Keith Jones of the National Trust initiated an engaging group discussion on how members can start to place adaptation consideration into strategy development and day-to-day activities. 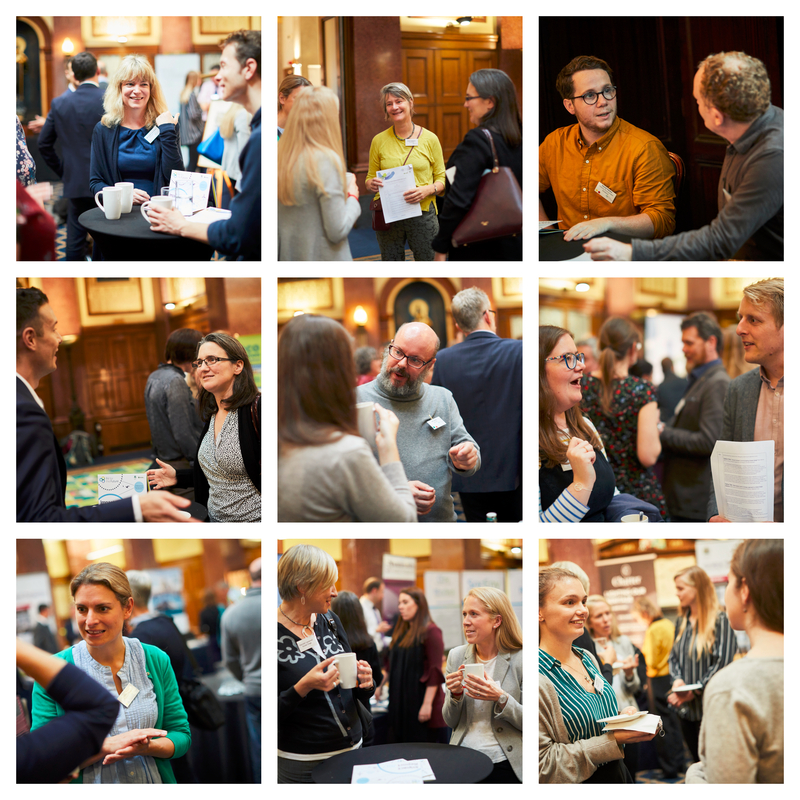 Members were keen to discuss the challenges of engaging at all levels of their organisations and recognised the support they can provide to each other in this collective challenge. Communicating Climate Change: Robin Webster of Climate Outreach emphasised that overwhelming and disastrous language to talk about climate change doesn’t work. Strong communications relate climate change to who people are and what they care about. It’s about making people feel that taking action strengthens their position as part of their group, and that the world will become more like how they want it to be as a consequence. Healthy and Happy Buildings: Practitioners from the built environment sector provided an overview of sustainable projects that are enhancing occupant wellbeing. Philip Gray of BDP explained how good air quality in buildings can provide significant health and productivity benefits, emphasising the need for good building design and management. Ben Humphries of Architype provided details on the use of natural materials in their award winning buildings, including local timber, straw and clay. In support of these themes, Kavita Kumari of Cundall provided an overview of the WELL Building Standard, outlining how building designers and managers can use the standard to support and guide their aspirations for positive impacts on health and wellbeing through air, water, nourishment, light, fitness, comfort and mind. 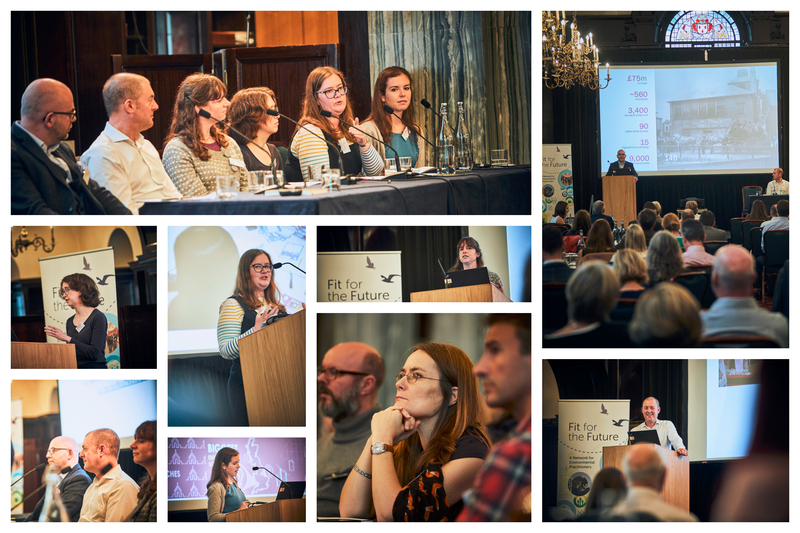 The day ended with Fit for the Future’s first ever awards, recognising the achievements of individual members, and celebrating those who have been particularly generous with their time and expertise to support peers within the network. 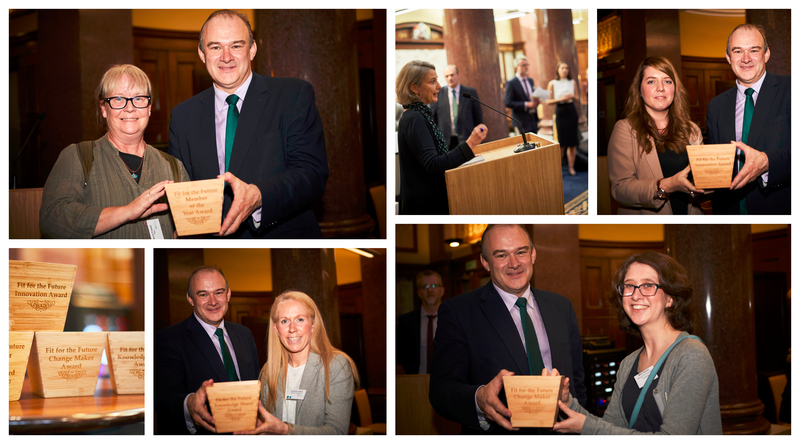 Sir Ed Davey and Sarah Butler Sloss, Founder Director of Ashden, presented the ‘Change Maker’ award to Historic Environment Scotland, ‘Knowledge Sharer’ award to Caroline Cattini of Historic England, ‘Innovation’ award to Forestry Commission and ‘Member of the Year’ to Anna Frizzell of RNIL. We are happy to hear that practitioners felt 'motivated', 'inspired' and 'a sense of community- working together for a common cause' thanks to the event. The Fit for the Future team are also feeling a renewed sense of purpose as we plan our next round of events and opportunities for members to network, learn and share solutions. A new programme of events, tours, seminars and meetings are currently in development, and details will be circulated in the coming weeks. In the meantime, you can take a look at our remaining autumn events here.